Laminate today is so realistic in appearance that people ask themselves if the flooring is wood or stone. Laminate is the result of breakthroughs in manufacturing methods and new technologies. Styles are available that capture classic ceramic tile appeal or authentic looking wood. The finishes and shades available allow selections that look like a particular species of wood look-alikes. 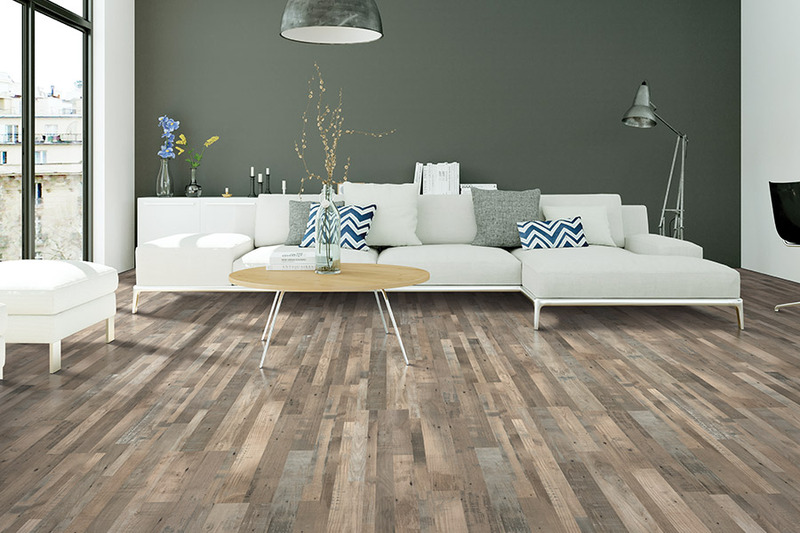 Laminate is available in options that are highly textured, distressed, or beveled. Not only does laminate look like wood or stone, but feels like it too. Laminate is a natural 'green' choice. 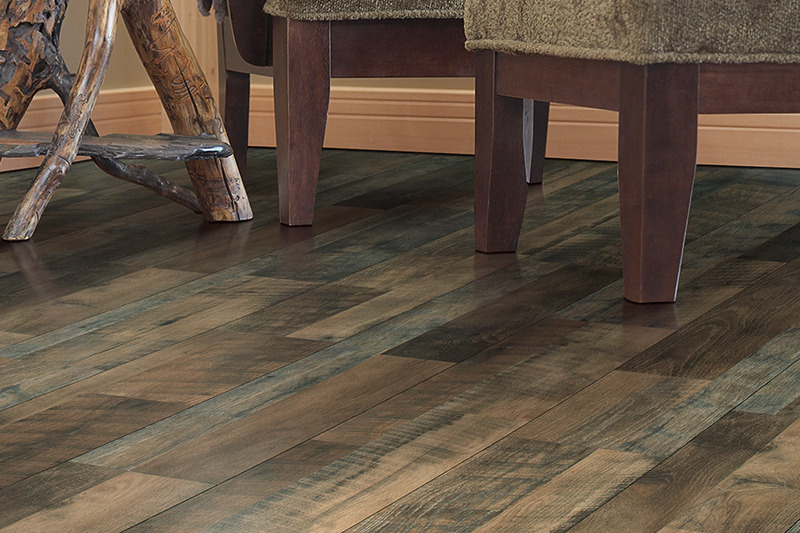 Fewer resources and less wood and stone is used in the manufacture of laminate flooring. Because of its durability, some styles come with warranties of 25-years. Laminate flooring does not have to be replaced often. It is a distinctive look that is both beautiful and affordable. Deep graining in textured laminate creates contrast and adds visual texture for a dramatic impact. Surface treatments such as hand-scraped, soft-scraped and registered embossing add even more visual impact. Laminate is available in cherry, pecan, oak, hickory, maple, or rosewood. Lighter textures give a soft, elegant look. Heavy textures give a more rustic or time-worn appeal. 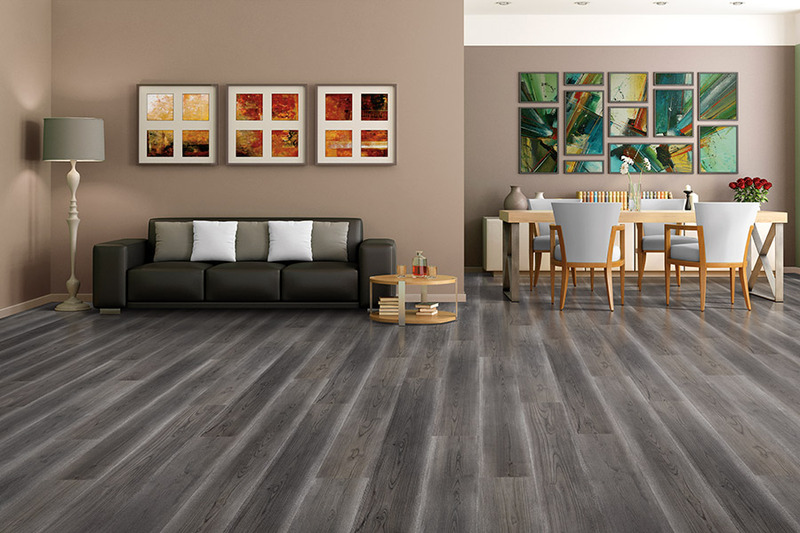 The characteristics of laminate flooring play an important role in the design of a room. 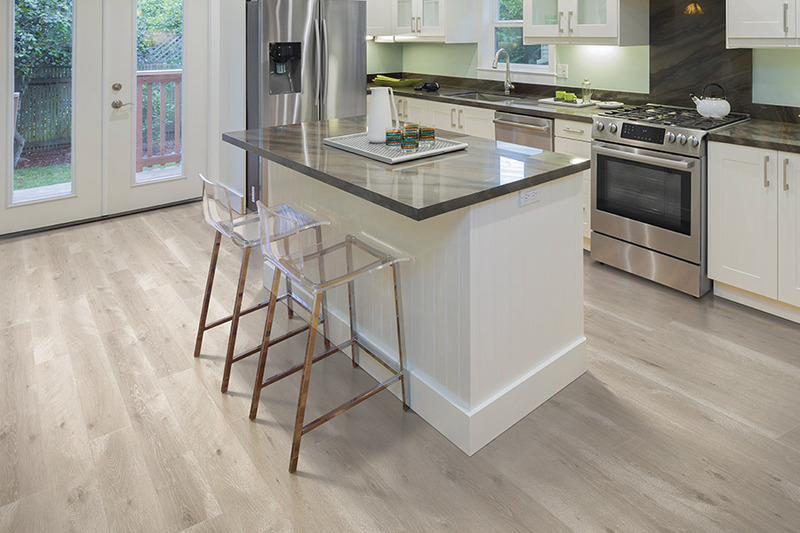 Few flooring products are more versatile than laminate. Traditional wood looks and stone elegance allow the laminate to deliver unlimited possibilities. Distinctive planks are perfect for a floor you want to have high visual impact. Lighter shades extend a room. Darker shades give a closer, more intimate feel. High gloss and oil rubbed finishes are available that bring out gorgeous graining. Edges of laminate planks are manufactured to look just like hardwood. The technique keeps dirt and dust from getting trapped in the edges. 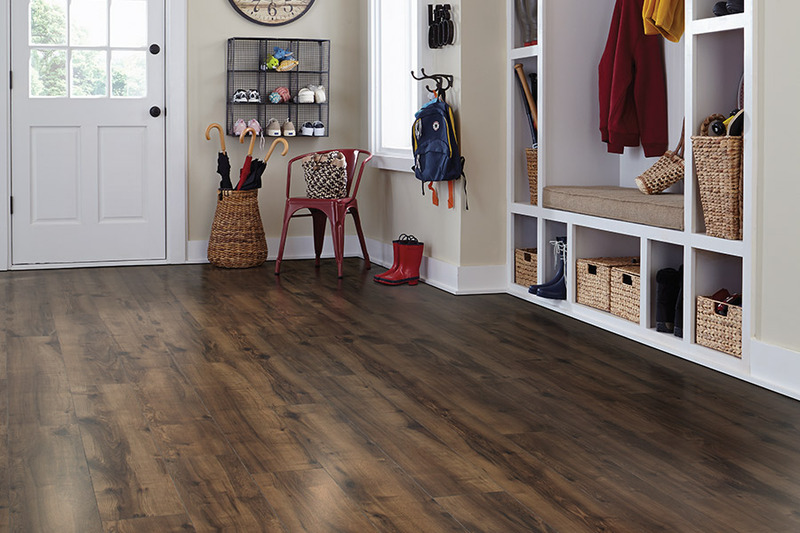 Words that describe laminate include practical, beautiful, versatile, and impressive. 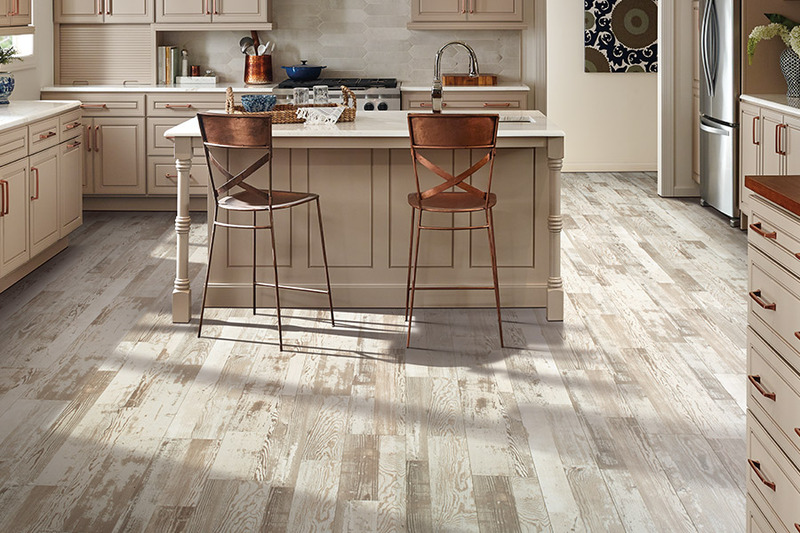 Our collection of laminate fits any style that the clients from Wildwood, Lake Saint Louis, Saint Charles, Chesterfield, Saint Peters, and Wentzville have in mind. All our laminate flooring is on display in our Troy, MO showroom.